I have a doe I bought from a stock market. She is going on 7 months old. I have a white long haired lion head buck who is 9 months. The other day I noticed my doe was pulling the buck's hair out. She didn't seem to be doing it out of aggression - she was building a nest. This morning I woke up to 6 kits in the nesting box but scattered around and not covered. After checking my doe we noticed she had pulled only a few patches of her hair but never really put it to good use. After checking them all only one was alive and after about 10 minutes it died too. Next time should I take the buck out and leave her by herself? Would it be best to leave him in there? It's almost always best to give the buck its own cage. 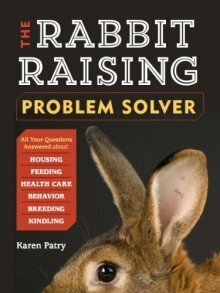 And now, you may need to be planning for a second litter in 31 days from the day the rabbit kindled. The big question is: why were the kits not mothered appropriately? Was the buck pestering her as she kindled? If the same happens to the second litter, the buck being permanently removed, it might be that the doe simply does not have strong mothering instincts. Is mine preparing for kits? My lop eared rabbit (doe) pulling out my netherland dwarf (buck) hair but shes not building a nest i dont think she just scattering it around the cage but they are starting to mate and pull out hair but the doe is running away and biting the buck and ripping out his fur is it preparing for kits? or is it just fighting? is it even pregnant? Time to separate the two - they've mated already, and the doe doesn't want him around. They're fighting. Remove the buck, and plan for babies. Nest in on day 28, and expect babies on day 31-32. Do your best to figure out when those days are, or simply put the nest in early.